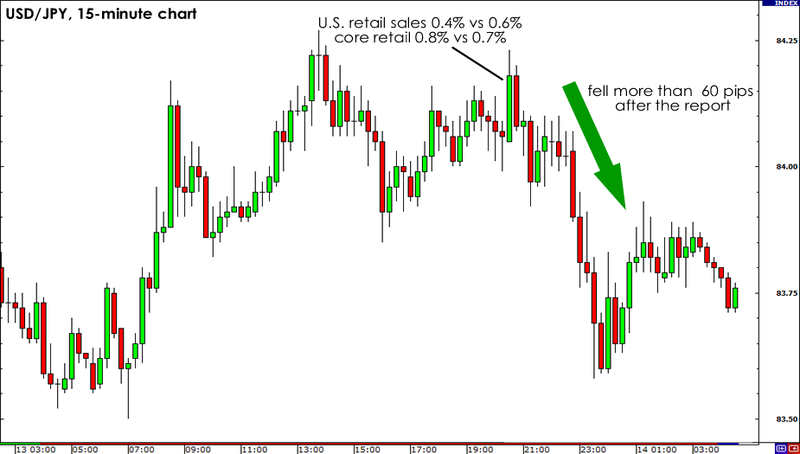 Make Pips with the U.S. Retail Sales Report! The April consumer spending report is expected to print a 0.6% increase in retail sales and a 0.7% rise in core retail sales. These would follow the 0.4% and 0.8% upticks in the headline and core figures for March, suggesting that Americans didn’t let higher prices of goods keep them from spending. Apparently, the recent improvements in the U.S. jobs market are encouraging consumers to loosen up their purse strings. If you’ve read my latest entry on the March non-farm payrolls report, you’d recall that net hiring was up for the seventh consecutive month and is expected to continue its winning streak. The jobs report also showed that average hourly wages were up by 0.1% then, which means that working Joes and Janes have a little more to moolah to spend. Anyway, this makes me wonder why same-store sales still rose by a whopping 8.7% year-over-year in April according to Retail Metrics Inc. Other retailers, such as Macy’s, are even boasting of double-digit growth in sales! Did consumers just decide to splurge their worries away or was all this spending mostly a result of Happy Pip‘s shopping spree? Now let’s get to the juicy part. How can we make some dough on the upcoming report? 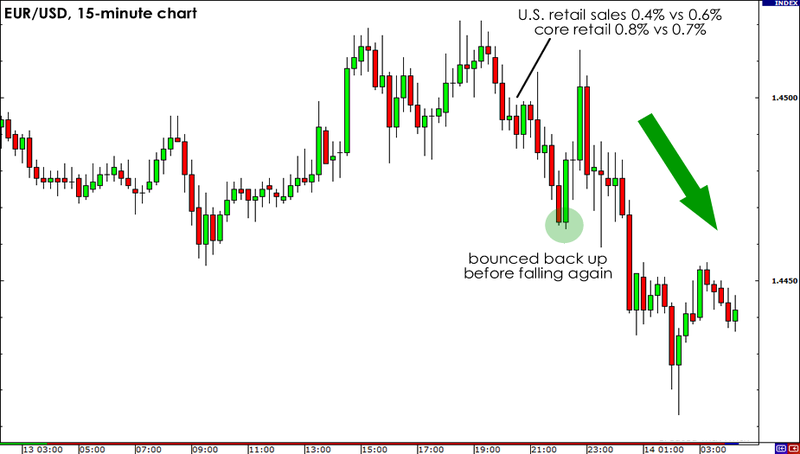 Looking back in April, the dollar was as lost as Nemo on the charts when the retail sales report printed mixed numbers. The headline figure for March fell short of the consensus by 0.2% while the core reading beat the 0.7% forecast by printing at 0.8%. At the wake of the release, the dollar gained against the yen and the euro. However, it wasn’t enough to impress the market. The dollar lost its ground against the yen and USD/JPY pared almost all the gains it made for the day. EUR/USD, on the other hand, ended the day lower but the dollar’s rally wasn’t as smooth as Cyclopip’s moves on the dance floor. I think talks about Europe’s sovereign debt weighed on the pair’s fate on the charts as S&P warned Iceland of a credit rating downgrade. With Greece getting its credit rating dumped two notches by S&P on Monday, will we see a repeat of this price action? Maybe. A negative report could fuel risk aversion further and send the dollar skyrocketing against the euro. Meanwhile, if it impresses markets, EUR/USD may trade higher as it would give traders more confidence to invest in higher-yielding currencies. However, if fundamentals come into play, the dollar would probably rally if the actual figures beat forecasts. Note that last week’s strong NFP report had a bearish effect on EUR/USD. Another positive report may give traders one more to root for the dollar and sell the pair especially after the ECB’s dovish statement. But be careful! A worse-than-expected report may just spark another dollar sell-off.